Diana’s Pavilion or ‘Diana’s Doorway’ was the main entrance accessible via water to the Barbarigo estate in the 17th and 18th centuries, and was one of the first works of Bernini’s project to have started around 1662. This magnificent and impressive entranceway is one of the most important features of the overall monumental complex. 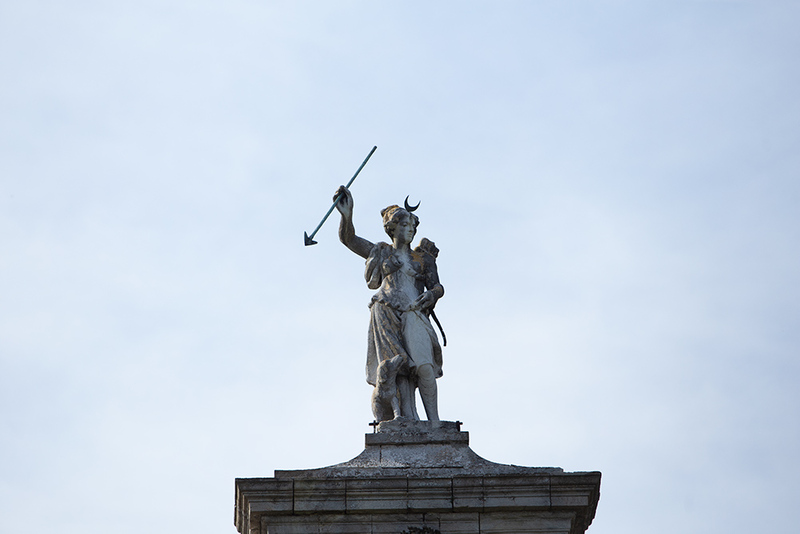 It does not only act as the entrance to the Barbarigo Pizzoni Ardemani estate, underlining the might of the place as you enter, but it also represents the beginning of the allegorical path of salvation, as intended originally by Saint Gregorio Barbarigo. 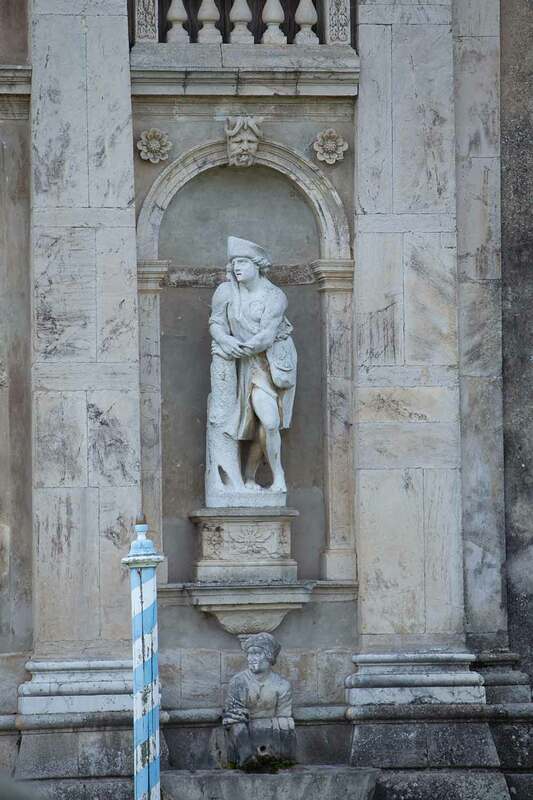 Just in front of the pavilion, flanking the main doorway you will find two solid plinths, each featuring a statue of an angel at rest (represented as young boys wearing tunics) holding up the crest Barbarigo family. This statue portrays Diana, Goddess of the Hunt, Wonders and Mutations in a warlike attitude, serving as a warning not to violate the boundaries of the estate. As the patron saint of the garden she is found deliberately at the highest point of the gate, as she represents God who stands above all. 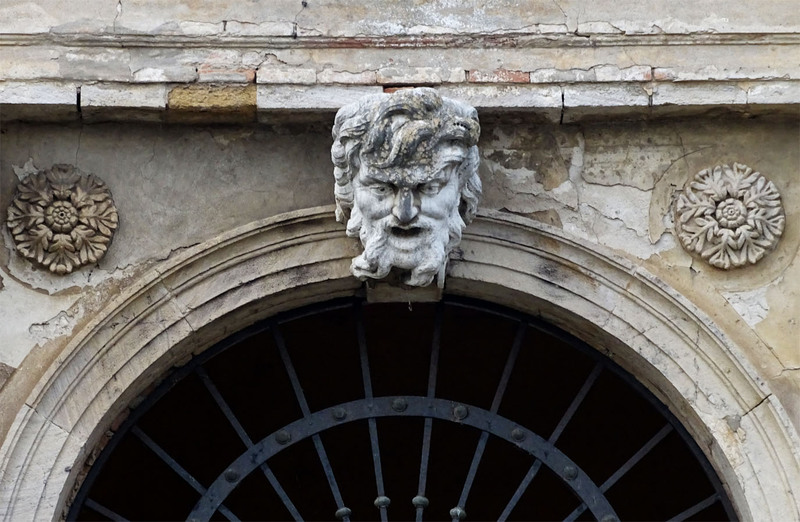 This animated sculpture on the keystone of the main entrance represents the head of a virile man, strong and gruff, in the act of screaming. 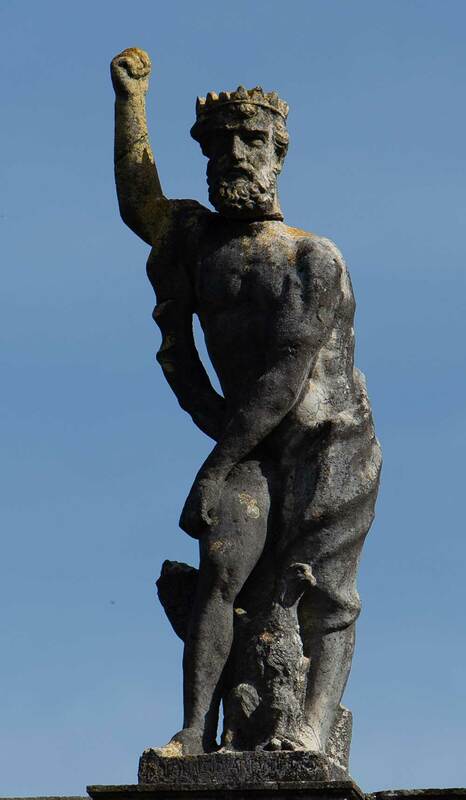 It’s possible that he represents Silenus (companion and tutor to the wine god Dionysus in Greek mythology), the master of wisdom and clairvoyance, and welcomes the visitors to Valsanzibio. 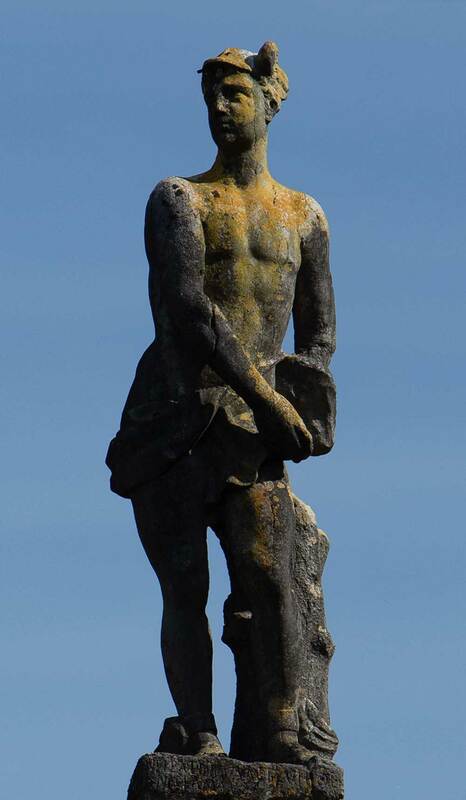 However, it’s more like that he represents the Barbarighi family as they take their name from their distinct thick hair, like the sculpture. This conclusion is drawn from the fact that this sculpture is found just below Diana, but above all the other (sculptures) underlining that the Barbarighi were second only to God. These sculptures found respectively on the left and on the right of the main doorway are of the two mortal figures that are referenced often in classical mythology who symbolise that people are never satisfied and wish for too much from life but in the end they find themselves with nothing. These figures allegorically represent the Venetian nobles and are found deliberately under the Bearded Mascaron, and as such, under the Barbarighi (family) in terms of social order. It is theorised that the Venetian nobles were looked down upon by the Barbarighi as they (the Barbarighi) believed the nobles to be unsatisfied with the first successes Venice obtained against Ottoman Empire, so they sought greater victories, leading to decadence within the Serenissima (Venetian) Republic and in time defeat and complete ruin at the hands of the much more powerful Turks. 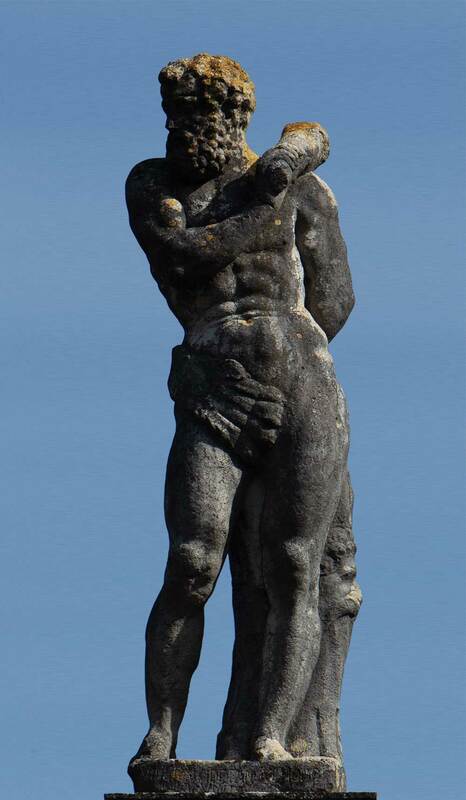 Under the statues of Ateone and Endimione are found two further sculptures which depict peasantsone holds a barrel of wine and the second one a jug of water) simply dressed, and in an almost deformed state. 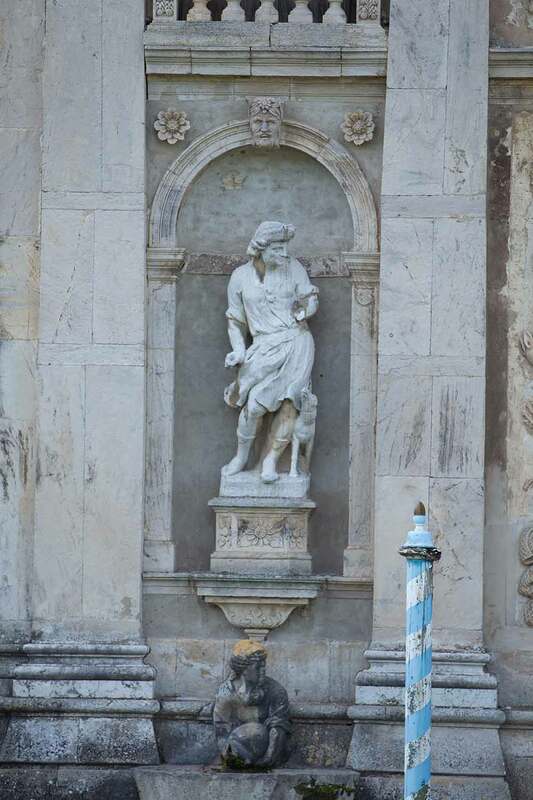 These figures are intentionally placed at the base of the doorway under the statues ofAteone and Endimione (which correspond allegorically to the nobility) to show that the normal people are the base of the aristocracy’s power. The God of Sun representing the Barbarigo family. 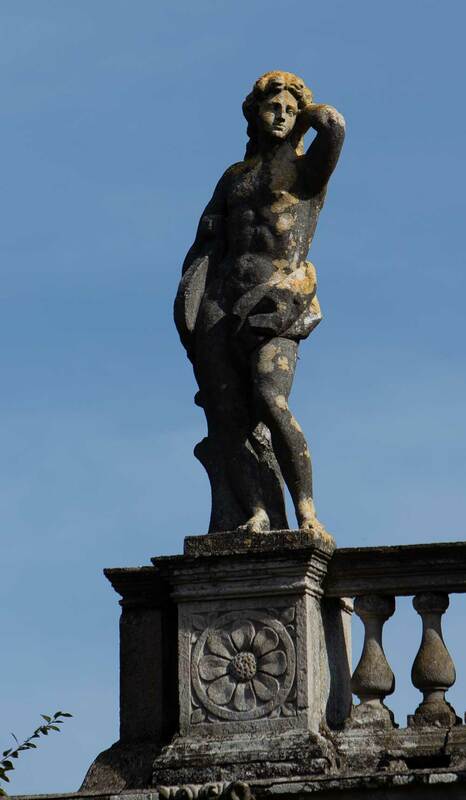 Having located their estate away from the nearby Brenta Riviera (the chosen residential location for most of the other Venetian noble families) the Barbarigo considered themselves the most important family in the area, just as the sun is the most important star in the sky. By separating themselves it demonstrated they did not have any rivals and as such that they were deserving of respect and admiration. The King of the Gods who controls the weather conditions, protecting the garden and distributing the right quantity of rain and sun. The demi-god who dealt with the ’12 Labours’ symbolises the effort that you have to face in order to gain salvation. As the messenger on earth of the gods Mercury signifies that in Valsanzibio it is possible to have direct contact with God.